There is no comparison for having a lesson face to face, but this is a good alternative! You need to take part in our Online Shows. Your video of your test will be scored and a copy of your video and sheet will be give to your trainer. The main areas, that where heighted by the judge can be worked on, to gain improvements and scores. You will be requested to send you a video back to your trainer. You will show how you ride these exercises. The Trainer will give you feedback, this can be done over the time frame of 2-3 weeks. How many times you’d like feedback is up to you! The follow months, test or tests results will help gauge any improvements made. If you are interested, contact me and I we can send you a more detailed plan of how this works. Time lines and prices will also be explained. You can tick the box on your show entry form for ‘Online Training’, its available for Dressage and Working Hunter/ Equitation Classes. Dressage Price is €35, watching and assessing the horse and rider, from the Shows Online Entry. Commenting on some positives and then discussing three main issues that can be worked on to improve their dressage scores. Each issue that will be addressed will be in the order of importance, this is very important in the horses training and development to improve a better balance between horse and rider. They will make a personalised video for you. This will involve Sandra on her horse, going through the exercises. This training is proving to be very helpful, as most of us are visual learners. Sandra Blake Farrell is an established Grand Prix dressage rider. She has achieved many National Championship titles including some international successes. Sandra’s most recent success with her Grand Prix Dressage horse Saint Emilion includes winning the National Grand Prix Freestyle Championships in 2016 and 2017. She is a very active dressage trainer and coaches riders of all levels. She is the founder of the Ultimate Dressage Experience which involves lessons on her dressage school masters. Covering every level from Preliminary to Grand Prix. Sandra has helped produce many young riders to hold National Champion Titles. Her most recent success as a trainer was coaching her full time student Kevin Acres to compete at Grand Prix level, taking him from Preliminary level to the highest level in as little as 3 years. Also making history in Ireland as Kevin is 21 years old he becomes the youngest Irish rider ever to compete at Grand Prix Nationally and Internationally. 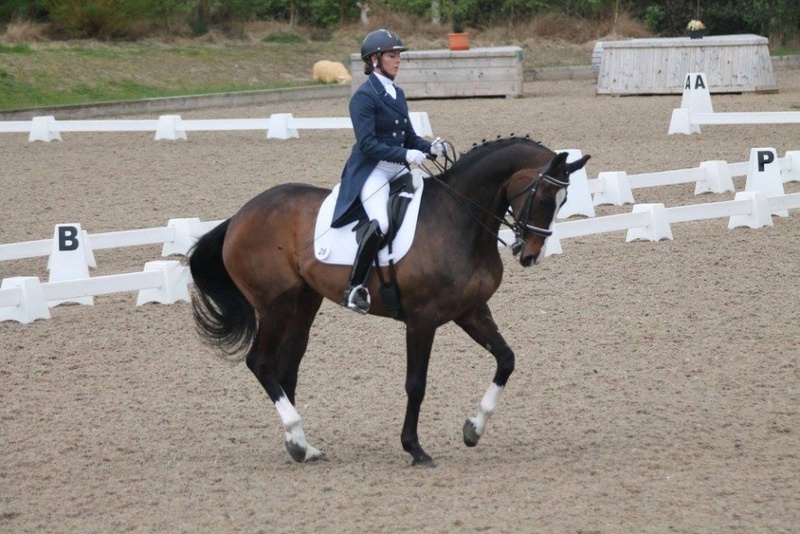 She is selected each year by Leinster Dressage to train young students for the Silver Spurs, and has year after year has helped students achieve many Championship wins. Sandra has trained with world renowned trainers and has over 25 years experience riding and training all types of horses. Her promotion of empathy for the horse and ability to produce a happy athlete is her priority. Her approach to simplifying dressage with her step by step methods have proven to bring successes to her students and help them achieve their goals. Dressage Price is €35, watching and assessing the horse and rider. I will make a personalised video for them. This will involve me on my horse going through the exercises. This training is proving to be very helpful as most of us are visual learners. An introductory price maybe €30, the videos will be about 10 mins approximately. I want the videos to be precise effective and to the point.